> As an American Attorney, How Can I Find a Job Overseas? BCG Attorney Search is the nation's largest and most geographically diverse recruiting firm specializing exclusively in permanent attorney placements. BCG Attorney Search currently has more attorney openings, in more practice areas and locations-including in countries across the globe-than any other legal recruiting firm. Whether you want to practice in the United States, Australia, the UK or any other country, BCG Attorney Search is where you should start your search. I am a fourth-year lawyer who is considering working overseas, especially in Australia. What are the kinds of challenges that North American lawyers need to consider when trying to find employment as a lawyer in Australia and abroad? Congratulations on broadening your horizons! The good news is there are numerous American lawyers who practice abroad, especially in transactional and corporate practice areas. There also are opportunities for attorneys who practice in the growing fields of international arbitration and in matters involving the Foreign Corrupt Practices Act (FCPA) and money laundering. Practicing overseas is so attractive to many American lawyers-for the excitement, the chance to live and work in a different culture, and many other reasons-the ABA Journal recently profiled four Americans successfully practicing law abroad (in Mexico, France, China and Korea). With a special focus on Australia, below we discuss some of the considerations involved in relocating your practice to another country. Among the factors you need to consider when thinking about moving your life and legal practice to Australia or any other country are practice area job opportunities, educational and qualification requirements, immigration issues, and salary and standard of living variations. In recent times, the increasing amount of privatization and the ease of capital transfer globally have driven much of the demand for American lawyers overseas. Many foreign companies are obtaining capital in ways that require a great deal of familiarity with the American legal system. Accordingly, the areas of practice that have attracted foreign law firms’ interest in American lawyers overseas are primarily corporate, commercial, securities, capital markets, M&A, project finance, and derivatives work. Other areas to consider are international arbitration, FCPA and money laundering. Given the expansion of many international law firms to locations throughout the world, one of the easiest ways to secure a job abroad is by seeking work at one of these law firms. While many of these firms staff local offices with local lawyers, they also often have opportunities for US lawyers who can help bridge gaps in cross-border deals and help explain to overseas clients the intricacies of US law and how it applies to their business goals. American lawyers who have been trained in the corporate and finance departments of large American law firms also have an aptitude for deal management that countries with less globalized practices appreciate. Most top international law firms limit their hiring to candidates with top credentials from US schools and firms, but if you can find one of these positions it is an excellent way to live abroad and still make your legal education work for you. Similar to the Bar Exam in the various states in the United States, most foreign countries have qualification requirements for those practicing law. How one gains qualification to become a lawyer in a given country varies substantially from one country to another and you will need to check the rules that apply to the particular country that captures your interest. In the case of Australia, there is no Bar Exam needed to become a solicitor (which is the term for lawyer used in Australia). However, the rules differ when it comes to “barristers” – who are specialized attorneys who handle certain matters in courts of law – and becoming a barrister in Australia generally involves passage of a Readers Course Exam. For more information about these core legal subjects, please see the Council of Australian Law Deans’ Studying Law in Australia website. If you are an American lawyer, you may not have training in all of these areas, but it is unlikely that you will need to start your studies from scratch. Depending on the State or Territory where you wish to practice, it may be possible to get exemptions from the admitting authority for some areas of legal knowledge while requiring that you attend some courses for other areas. The Australian admitting authority may recognize your American degree and experience, saving you considerable time and effort. For information about the application procedure for practice in New South Wales, for example, please see the Legal Profession Admission Board’s Guide for applicants for admission as a lawyer in NSW in accordance with the Legal Profession Uniform Admission Rules 2015. In Australia, once you have completed your education and training, you need to get a practicing certificate. The practicing certificate covers “practical” aspects of practicing law, such as legal ethics, work and file management, legal writing, and interviewing. A legal professional issues these certificates, though they often come with a restricted period where the lawyer will need to work underneath an advisor. Continuing education is often a prerequisite for certificate renewal. One good thing to note: there are no extra limitations or restrictions on foreigners trying to obtain a practicing certificate, so that is great news! So long as you meet all of the admission criteria and have completed the training, you will receive a certificate just as an Australian would. More good news is that Australia has recently enacted legislation to enhance mobility for solicitors who want to practice in multiple States or Territories throughout Australia. Under Australia’s new mobility scheme, it is generally not necessary to obtain a separate practicing certificate in each State or Territory. However, different admission requirements apply in different States or Territories and you should always consult the local rules and regulations. In addition to the requirement described above, most firms in Australia, Asia and Europe require a certain number of years of Post Qualification Experience (PQE) for lateral lawyers. This means that they expect you to have worked as a qualified lawyer in the subject country for a period of time before they would consider hiring you. Thus, even if you have the requisite experience, PQE might limit the chances of you obtaining a position in Australia. In rare circumstances, a native Australian law firm may be interested in a US lawyer with no Australian qualifications. But US law firms with offices overseas tend to be more willing to consider non-PQE candidates, especially if they have top credentials and expertise in a relevant practice area. Salary and standard of living are always factors to be considered when contemplating relocation to another country. Salaries fluctuate, but relatively speaking, the pay rate for lawyers is lower in Australia than it is in the US, especially when it comes to large firms in major US markets. However, the pay scale can be closer when you look at more rural or smaller community areas, and on the whole the standard of living is lower in Australia than it is in the United States. According to Payscale, as of March 2016, the average salary for a solicitor in Australia was AU$62,513. Total pay (including bonuses, commissions and profit-sharing) ranged from AU$43,781 to AU$100,521. The hourly rate ranged from AU$21.70 to AU$45.15. Among the major Australian cities, the average salary for solicitors was AU$67,561 in Sydney (New South Wales), AU$66,226 in Brisbane (Queensland), and AU$57,517 in Melbourne (Victoria). The July 2016 conversion rate to US dollars places these salaries at US$50,768, US$49,765, and US$43,221. Note that Payscale data for those calling themselves corporate lawyers in Australia was slightly higher than for solicitors, with the average being AU$75,872 and ranging from AU$50,483 to AU$137,158. Payscale data for barristers in Australia was even higher, with an average of AU$92,793 and ranging from AU$38,082 to AU$252,826. In the past years, we have spoken to several American attorneys practicing overseas, and each appears to feel that they are having a good experience. However, it is important to note that relocating overseas is a difficult decision and can be risky. When a country is prospering, lawyers with experience in a needed practice area can be in high demand, but work in an economically volatile or depressed region can dry up very quickly and American lawyers may be the first to be forced to seek out new positions. Accordingly, any attorney considering relocating overseas should approach the situation carefully. This is a huge decision and a big move. You want to make sure it is something you want to commit to before packing up all of your things and moving. The last thing you want to have happen is to get there and find that the work has dried up, that you cannot speak or learn the language or adapt to the culture and customs, or that the circumstances are other and less favorable than you expected. For example, what if the legal specifications are not what you are used to or not something you feel comfortable upholding? Long story short, do your research on the country, culture, customs and legal system of whichever country you are considering before you commit to anything. To work in another country you must get a work visa and immigration issues can be difficult and time-consuming. For now, Australian legal immigration barriers for legal practitioners are relatively low, as both barristers and solicitors are on the July 2016 Skilled Occupation List (SOL) and worth the maximum allotted for any one qualification for immigration, 60 points. Being on the SOL is a great start for lawyers wanting to work in Australia. However, there are other considerations that will determine your qualification as an emigrant to any State or Territory in Australia. 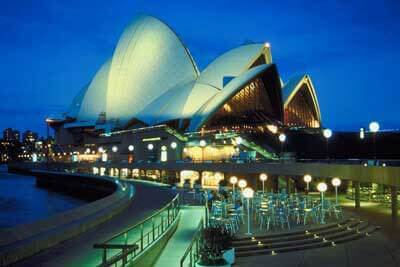 Issuance of a visa to work in Australia is solely a decision for the relevant Australian government authority. Immigration is one issue that places you at a disadvantage over an equally qualified and credentialed Australian lawyer. But many immigration issues can be overcome with tenacity and a strategic plan. Of course, if a law firm is interested in hiring you, the firm would sponsor you to obtain the necessary visa. However, this is not something you should necessarily rely on. After all, this route is only applicable for the most extraordinary applicants and, again, all things considered, an Australian law firm is much more likely to hire an Australian. Accreditation is based on the papers that an applicant can provide to the admitting authority. These include certified true copies of all relevant degrees, certificates or diplomas duly notarized by the institution that issued them, as well as official transcripts and course materials. A certified copy of the passport of the foreign applicant will also be required, and in some cases, an applicant may need to pass the International English Language Testing System or IELTS (Academic) Test to demonstrate English language ability. Moreover, various application fees apply. Getting your license is the first hurdle to practicing law in Australia, but it may not be the hardest. That would be looking for a job. You can start by joining the state bar association and doing some strategic networking. You can also send out your resume with a persuasive cover letter to various law firms. As in most things, doing an online search is the easiest way to get connected. Look at job boards for opportunities, narrowing your search to your area of expertise. Apply only to positions that fit your educational background and experience so that you will not waste your time applying for positions you are not likely to get. Especially target firms that have operations in the US, as they will more likely favor your application if you can bring something to the table that a non-US-based solicitor cannot. Taking your law degree and relocating overseas can be exciting and enriching in many ways. But there are risks as well as rewards, and hurdles you must overcome to make the experience a success. The more you research the particulars of practicing law and living in your target country, the more you will be able to ascertain if making the move is right for you. The listings on LawCrossing are amazing. No other website comes close to being as good as LawCrossing. LawCrossing Fact #178: Our team of hundreds of programmers and writers focuses on the employment industry!